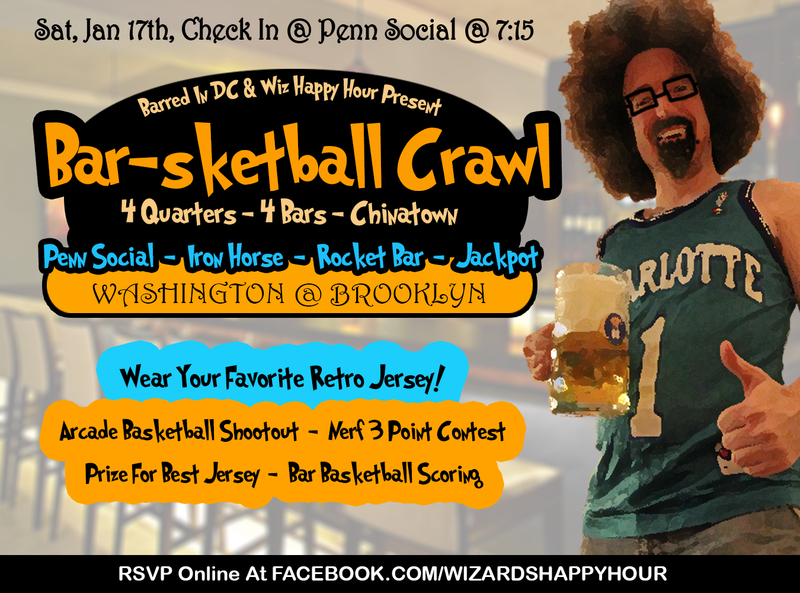 The coolest event of the season, the Bar-Sketball Crawl, is coming up this Saturday (7pm check-in at Penn Social) during the Washington Wizards @ Brooklyn Nets road game. 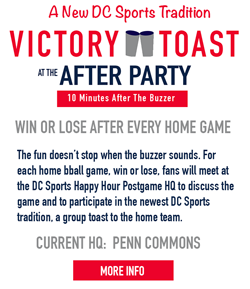 Wizards fans are teaming up with DC Bar fans as Wiz Happy Hour & Barred In DC come together for a fun mix of basketball and beers. Everyone is wearing their favorite old-school (or current) NBA or college jersey. If you were unaware of how the crawl works, we will be going to 4 different bars in Chinatown (Penn Social -> Iron Horse -> Rocket Bar -> Jackpot). 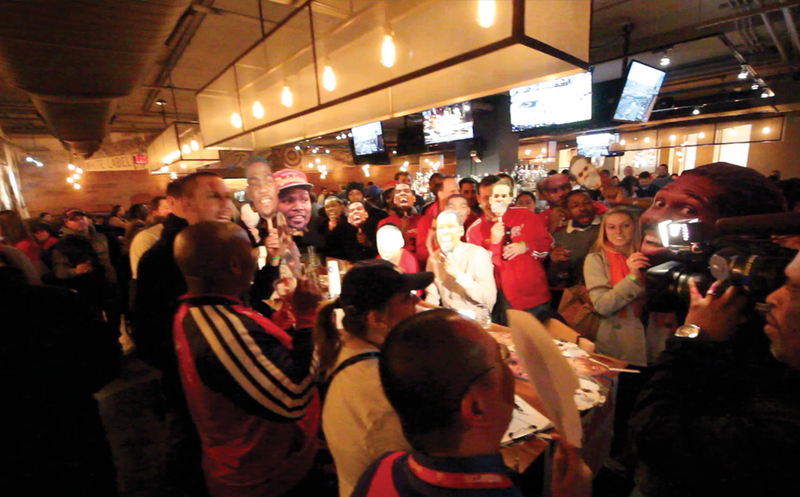 At the end of a quarter of the Wizards game, we will hustle to the next bar. 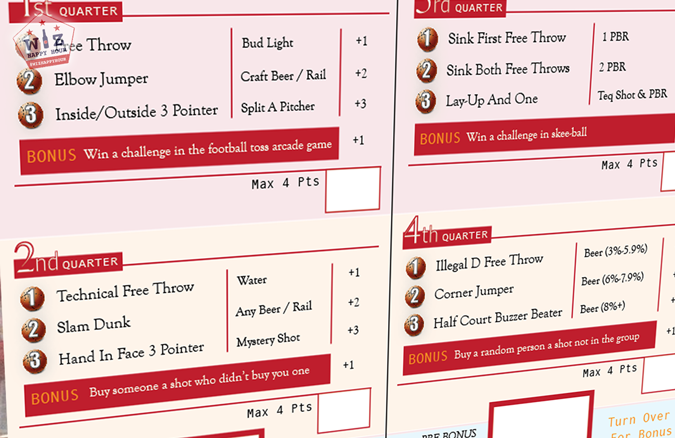 During the crawl we will have 4 awesome basketball themed contests including a Bar Basketball scorecard (think bar golf but less binge drinky and more fun). Before you come out we wanted you to get an idea of all the fun we plan to have. We are doing a prize at each of the 4 locations. Here are the awesome games we are playing. 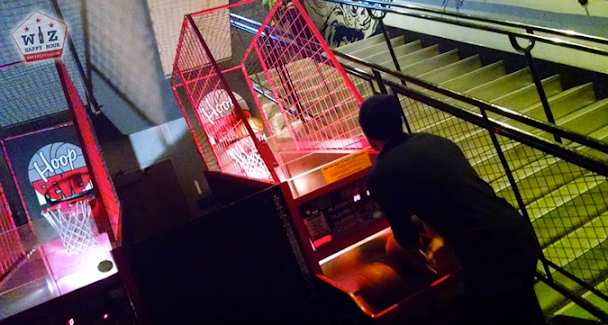 Penn Social has two arcade basketball hoops in the corner. Just after check-in and before the game starts around 7:30, we will pull out a sheet of paper and create a tournament bracket. The winner will get one of our Wizards/Beer prizes. Wow what a winner in that photo. Sometime either on the way to, inside of, or just as we leave Iron Horse Taproom (don't want to be throwing balls at randoms in a bar) we are going to have a nerf basketball 3 point shootout. The winner will take home one of our prizes. Here is a sample of how bar basketball works. You get points for doing certain things like ordering a drink, buying someone else a drink, completing social media challenges or even for beating someone in a game of skee-ball. 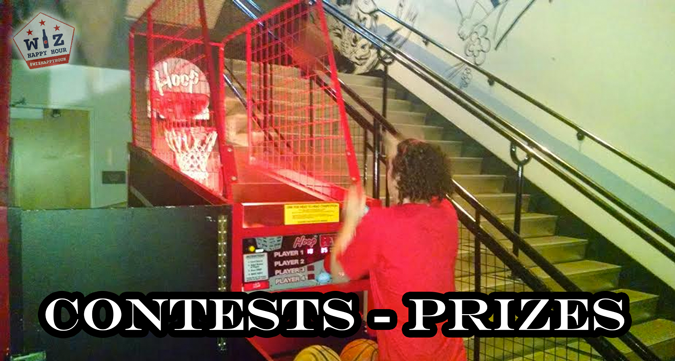 At the end of the Wizards game we will tally up the points and give the winner a prize! The card above is just a sample of how it works, and you would just shoot one per bar, not multiple. So grab all your buddies and head out to Chinatown on Saturday! Don't forget to wear a jersey and RSVP. I'll beat you in everything! Don't think so? Come out!